The outspoken congressman wants to use the budget crisis to advance his privatization agenda. Forget about death and taxes. The House Budget Committee chairman has for the better part of a decade been the most determined advocate on Capitol Hill for the Wall Street agenda that says earned-benefit programs should be reshaped as investment vehicles and voucher schemes that will benefit brokers and the health-insurance industry. The key to the project is to get Americans talking about “reforming” popular programs. Unfortunately for Ryan, his previous attempts to peddle “reforms” have proven to be supremely unpopular—so much so that, when he was nominated in 2012 as the Republican vice presidential candidate, he became a burden on the ticket. His performance in the single vice presidential debate proved to be a comic exercise in the avoidance of his own past positions. And as Election Day approached, Ryan was bundled off to safety Republican states in the South, where his appearances would do no harm. NBC’s Saturday Night Live parodied the Wisconsin congressman’s inability to deliver his home state for the Romney-Ryan ticket. And he actually lost his own precinct, city and county in the industrial city of Janesville where voters began to realize that their representative was more interested in delivering for the financial-services industry interests that fill his campaign coffers than for Americans who rely on Social Security, Medicare and Medicaid. If that sounds like the austerity agenda that Ryan has been proposing for years, well, yes, it is. What’s different is that the congressman thinks he can sell his failed ideas now as a way out of an otherwise irresolvable “standoff.” Readers of Naomi Klein’s The Shock Doctrine will recognize the scenario: a politician waits for a crisis to pitch an unappealing and otherwise unacceptable “fix.” Former British Prime Minister Margaret Thatcher employed this approach with her “TINA“—“there is no alternative”—pronouncements about so-called “reforms” of popular programs. The key to the strategy is to make radical changes sound reasonable and necessary. But the program remains the same. Translation: means-testing of Medicare. Make way for more price-gouging by the private companies that sell supplemental insurance. Launch a new assault on public employees who have already been hit with wage freezes and furloughs. 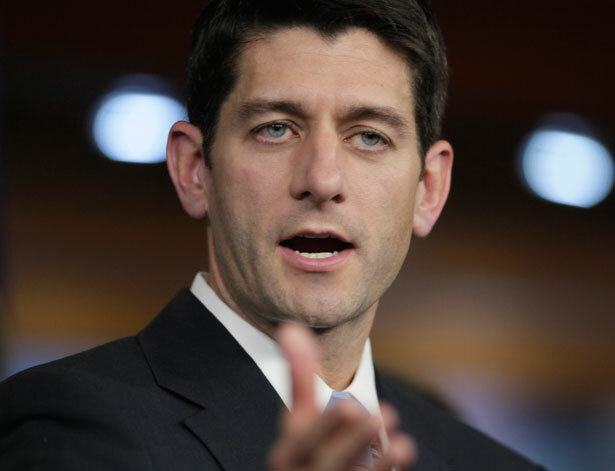 Ryan suggests that the Obama administration has shown some openness to some of these proposals, but that does not mean that the Ryan plan can or should appeal to the American people, or to the House and Senate Democrats who were elected in 2012 to preserve Social Security, Medicare and Medicaid. Or for anyone who thinks that the better program for meeting America’s economic challenges might be to ask the wealthiest among us to pay a little more into Social Security and into the general fund. Sly move there. While his proposal may not be a full “grand bargain”—with partial privatization, vouchers and all the other highlights of past Ryan budgets—the plan that the Wisconsin Republican has rolled out is a downpayment on the grand bargain he’s been seeking for years. And, at a political juncture when Ryan’s Republicans can gin up a “crisis” whenever they like, no one should imagine that the congressman and his generous campaign donors are dreaming dreams of a much grander bargain. Lee Fang introduces the “evangelical cabal” behind the government shutdown.